Sixx:A.M. is a hard rock band from Los Angeles, California, formed in 2007 by Mötley Crüe bassist, Nikki Sixx, DJ Ashba (Guns N' Roses), and James Michael. The group is best known for their song "Life Is Beautiful". 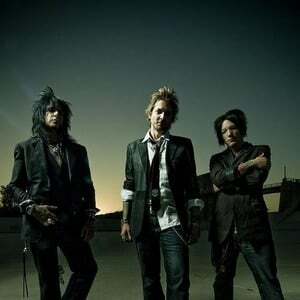 The band released The Heroin Diaries Soundtrack in 2007, which is based upon Sixx's autobiography, The Heroin Diaries. They released their sophomore effort This Is Gonna Hurt based off of Nikki's second autobiographical book of the same name on May 3, 2011.